The program on the grounds of a person determines many traits. Physiognomy accurately determine personality type. The program includes a sketch. 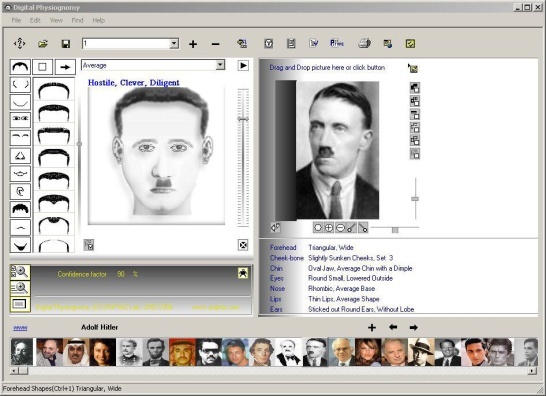 Also, a lot of famous people on physiognomy. analyze and unpack WinSwup bases.